Charlie Nicastro, a heavy equipment operator with the Gloucester Department of Public Works, looks up Tuesday at a mountain of salt waiting in a silo for use in the snow storm. 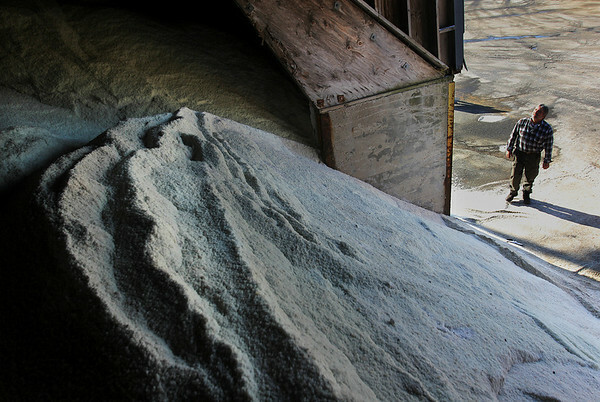 The silo, which holds about a thousand tons of salt, is filled up almost to capacity. Extra salt is being piled up next to it.